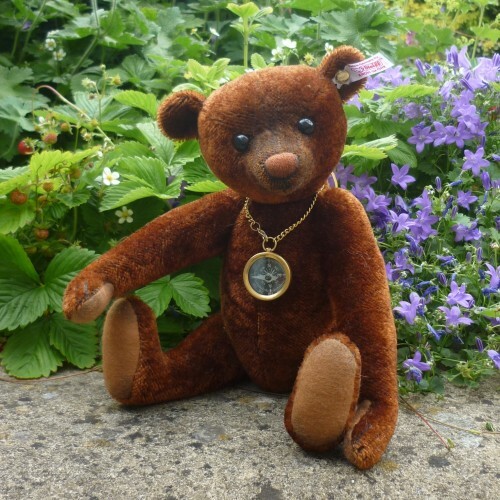 Nando wears a real operating compass around his neck, so you’ll always know which direction you’re headed, he is sewn from finest russet tipped batik mohair – a very unique fabric and is a showcase of the airbrusher’s art, with painting around his nose, eyes, and ears. Nando’s nose is hand embroidered in chestnut floss framed by black thread. His claws and mouth are also black floss.